I have little expertise when it comes to DIY, I openly admit that it is not my forte…. I once attempted to put a lock on a door.. it involved, nails, screws, glue, an old dog lead and a hammer!!!! All I can say in my defence, is that no one has ever shown me what to do…. I needed to be ‘lured’ to perform task relating to DIY! So my knowledge of building in any form, is what some would say… limited. However, even I know that the importance of laying strong and deep foundations in order to ensure you building stays upright! After all, no one likes a building that is likely to topple over at the first gust of wind…..
Well dog training and rearing a dog is no difference. I travel the world helping people with their dogs and their respective problems, and the first question I ask is…. how did you train it? The answer to this, should be detailed, comprehensive and easily recalled. However often this isn’t the case, and this is often where the problem lies. This is applicable to the frame it takes to rear and train a dog to the level where it can be a asset to you. If human years vs dog years, is 1 dog year equates to 7 human years, we have to assume that it will take a considerable amount of time to achieve that ideal. However the end goals, starts with your foundations. The foundations you lay will ultimately be the core on which the rest of your house is built. Often people start thinking about wall colours, and lighting before even having their walls up and I understand the excitement of planning ahead, however worrying about which colour blinds to have may not be an issue if your walls fall down or are strong enough. It is a classic mistake made by those just starting out on the first rug of the dog training ladder, to want to rush ahead to the finish line… The cries of ‘yeh but, can I do that bit now…’ are relentlessly cried at instructors worldwide, and the response of ‘not yet, lets get your basics right’ is often the response. Its all about your foundations. The time spent building them are worthwhile in the long run, as they will save your countless hours of time and effort in ‘repairing’ parts of your building. My youngest dog, Mighty is 2yrs old, and for the first 18months of her life, I barely didn’t any training with her. The reason? Her arrival coinciding with the birth of my daughter and as a result, her training was very much on a back burner to nappies, sleepless nights and milk bottles! Her siblings were being trained with much more intensity and commitment, but sometimes life takes priority. You want to teach your dog to do agility weaves, and you want them to be fast and independent. So you start the process using which ever method you opt for and you decide to reinforce the dog. So the ideal would be to be about to throw a toy for the dog at some point once they have gone through the weaves. However, you opted to say that you didn’t need that skill and you wanted to start weave training. So this means you now have to find an alternative means of reinforcing your dog. It may be to use a lure, which may work but will mean that you will struggle to create independence. You may have a second person help you, this means you are now only able to train your dog when someone else is present…. you decide to throw the toy anyway, which then creates your doh grabbing it and doing a wonder wall of the training field and a scene from ‘The Benny Hill Show’! Can you see by simply not having your dog bring a toy back, the knock on affect it can have. But here is the tricky part…. When you first start training, you can’t always tell what foundations you’ll need until your much further down the line…. Is it important that my dog can take a treat in a certain manner? Does it really matter if my dog doesnt let go of the toy straight away? Isn’t it better to just use a treat on his nose to get him to do something? Surely it can’t be THAT important? Well actually, it is…. and the better foundations you have, the more likely your house will withstand the bad weather, rain, sun and storms that it might face! You can race along and skip this parts…. bit like a cowboy builder will skip the damp course, or insulation… you’ll be fine when the sun is shining, but wait till you get a bit of bad weather or rain…. you’ll certainly realise the value of both in that moment! 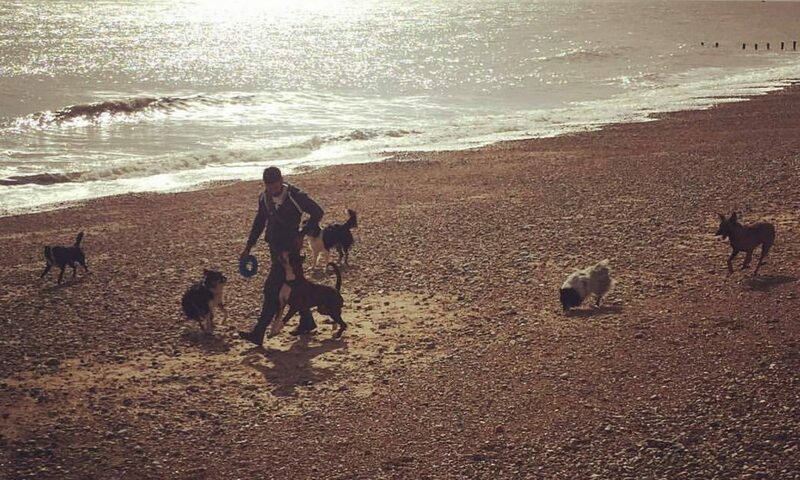 If you want to find out a little more about building great foundations… join my face group ‘Kamal Fernandez Dog Training Group’! In that group, I am currently sharing videos, information and articles of creating great foundations for your dog, whether it is destined to be a top notch competition dog or just a well behaved family pet! Just click on this link to join…. Next PostNext Being Gracious in defeat….